Oxygen America is the manufacturer of products for the best selling author and oxygen pioneer, Ed McCabe, otherwise known as "Mr. Oxygen". 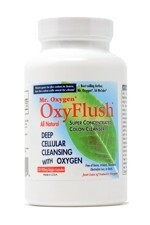 Using proprietary blends of trace elements, amino acids, vitamins and minerals, the various Oxygen America formulae are designed to nutritionally support the body in its oxygen carrying capacity, the natural metabolic processes of liver detoxification and acid/alkaline balance, and to provide assistance in cleansing of the colon by the gentle release of oxygen and softening of the stool by magnesium salts. Based upon customer recommendations, The Natural Choice has chosen to make Oxygen Americas three best known products available here in the UK: OxyFlush, OxySil and OxyEarth. Oxylift, the forerunner of OxySil, is a synergistic blend of nutritional supplements made according to Ed McCabe's original recipe, providing the body with oxygen, structured water, major and trace minerals, four enzymes and seventeen amino acids. 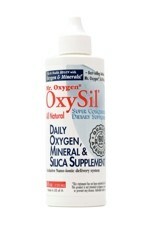 Now that original Oxylift formulation has been improved by the addition of an organic source of silica. The result is OxySil, which still provides all of the benefits of original Oxylift formulation, but with this additional source of organic silica to support naturally healthy skin, hair and nails.